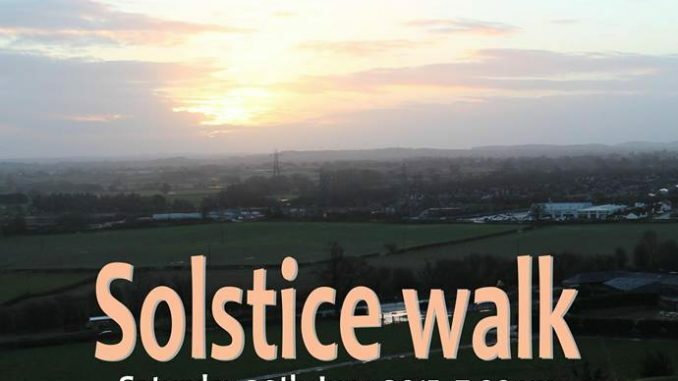 There’s no better place than Old Oswestry to mark the summer solstice, say organisers of a sunset walk around the hillfort next Saturday (June 20). Hillfort campaign group HOOOH says the evening stroll around the ramparts will be suitable for young and old, and is free to take part. “Old Oswestry is a wonderful vantage point for enjoying the evening sun and stunning views across the landscape over the solstice weekend, weather permitting,” said Kate Clarke of HOOOH. Anyone who would like to participate should meet at the hillfort’s western entrance at 7pm. The HOOOH (Hands Off Old Oswestry Hillfort) campaign is currently fighting plans to build a 117 house estate within the hillfort’s south-eastern setting.